As if Brett’s birthday wishes weren’t enough (and they totally were!)…Mr. Dirty South himself, Ludacris showered me with birthday wishes backstage at the Black Rabbit Music Festival here in Beijing. Backstage with Ludacris. One more perk of being Blonde in Beijing...it is much easier to get the attention of the people in charge of backstage passes when you are blonde in a sea of brunettes! This was the inaugural year for the Black Rabbit Music festival – which made one-day-only stops in Beijing and Shanghai. The craziest part – Ludacris wasn’t even the headliner. It was 30 Seconds to Mars. We skipped out for that and went over to see Grand Master Flash. Sorry Jared. 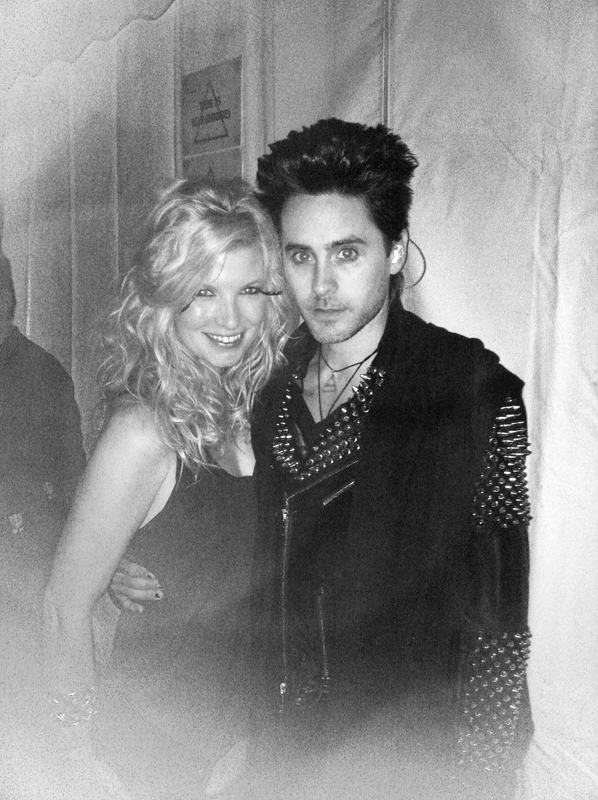 Morgan and Jared Leto. He is an odd bird - very nice but still...odd. I think I liked him more as Jordan on "My So Called Life" than front man for 30 Seconds to Mars. The festival was fun – but I really credit that to Brett and our wonderful friends who came with us…and Luda of course! His portion of the show was great. But as far as festivals go, Black Rabbit has a lot to learn. My favorite oddity of the night was that the VIP Area (this was just a perk to an upgraded ticket type – which I wouldn’t recommend except for the parking and easy entry access) only served wine. Who drinks Merlot with a hot dog? Or better yet who drinks Merlot at Grand Master Flash? I guess the answer in this case is – me. When in China, right? 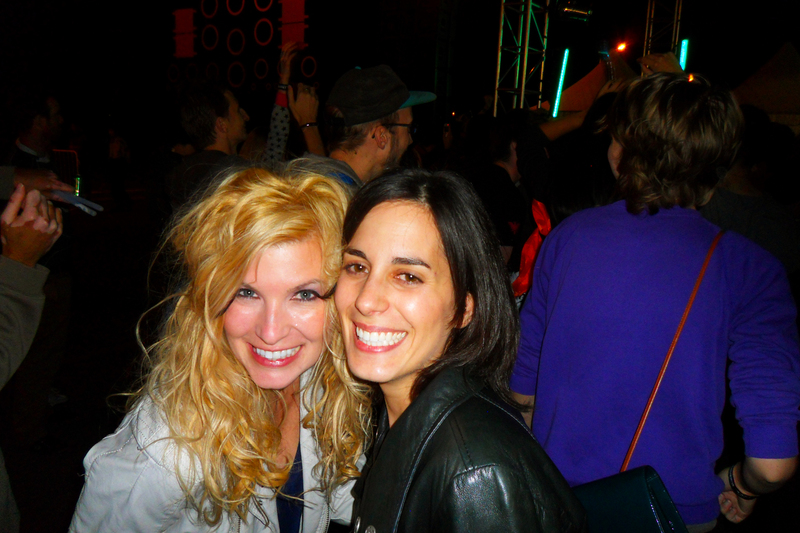 This picture was taken just after “THE GIRL” finished crashing the stage at Grand Master Flash. By the way, Mom, can you guess who “THE GIRL” was? That’s right…your 31-year old daughter! I use the phrase “THE GIRL” in quotes because after my exit from the stage (okay maybe it was more like a removal…) GMF yelled out, “Give it up for THE GIRL”! To this, my friend Megan replied, “Couldn’t he have at least said THE BLONDE?” I couldn’t have said it better. 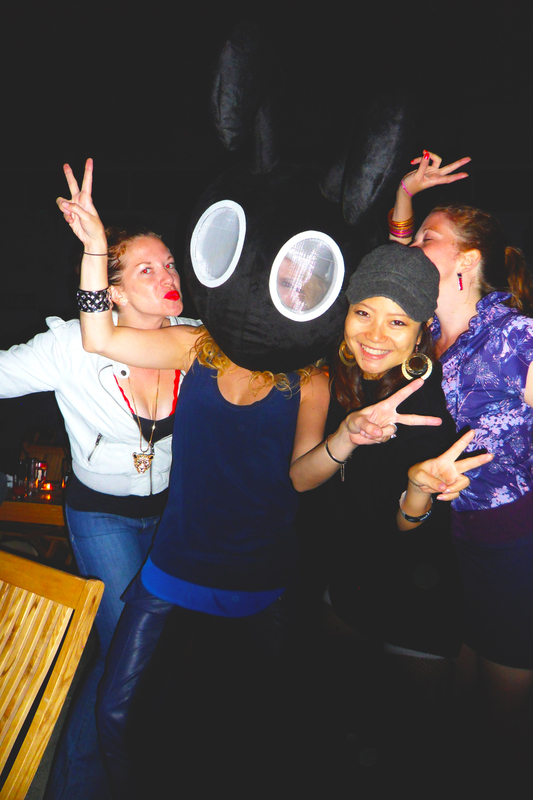 Morgan sporting the Black Bunny Mask with Megan & KC Connolly and Moya Li. For a first attempt – I think the Bunny people did an okay job. Is there room for improvement? Of course. Can they do it? No doubt (well…as long as they ask for some outside help). We will definitely give it another go next year! Morgan:Just to say “I love you!” And I hope you have a great time in South Africa. Can’t wait for the blog from there…. Morgan, I really don’t know who you acquired your brazen behavior from. Whew, sure glad I was calm in my younger days!!! !ha!